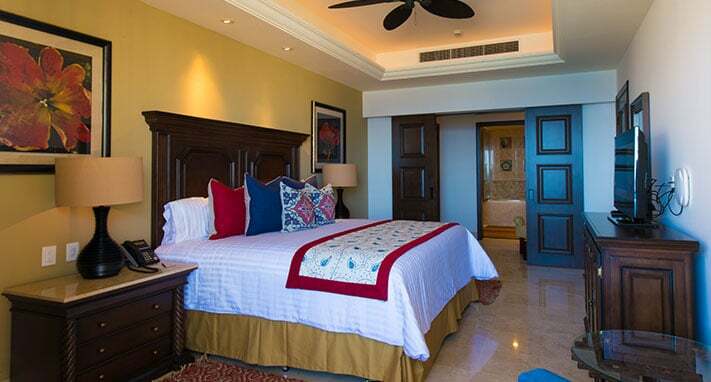 Grand Solmar Vacation Club lets you enjoy all of the luxury and extravagance of taking a dream vacation, in paradise. Travel to a tropical paradise, as you vacation at the Grand Solmar Land’s End Resort, in Cabo San Lucas. Or visit exotic Thailand island Koh Samui, with extraordinary Koh Samui villas. Cabo is a city brimming with culture and history and will leave you wanting to come back year after year. It’s just one of the reasons why Grand Solmar Vacation Club members frequently return! Friendly service and benefits ensure that members are treated to complete satisfaction, and Grand Solmar goes to great lengths to give members and guests the best vacation possible. Many vacation memberships and services are out there, but none as are respected or admired as Grand Solmar Vacation Club. You know what you’re getting when you vacation at Land’s End; the best vacation for the best price. Infinity pool with a swim-up bar, spa services, golf courses, and much more are just part of the package when you travel in style as a member of Grand Solmar Vacation Club. Live the luxury lifestyle you have always dreamed of, with a trip to the exquisite Land’s End Resort. No matter how large or small your party, and no matter the occasion, staying at Land’s End will make it great. Honeymoons, weddings, family outings, or just a break from a hectic work life can all be made except when you’re a Grand Solmar Vacation Club member. Enjoy activities at the resort, or venture downtown and see all that Cabo has to offer. The atmosphere and aura of the city make it unlike anywhere else in the world, as you’ll see from the moment you walk into your room. Authentic local textiles and artwork give you that Cabo feeling every time you wake up, or walk into your room. There’s much more information that you can learn about Land’s End Resort, Cabo San Lucas, and becoming a Grand Solmar Vacation Club member. Simply visit the Grand Solmar website, or call 1-800-344-3349 to learn all about what makes Grand Solmar the optimal way to take a vacation. The incredible customer support staff will answer any question you may have and will help you find the best way to travel to Cabo.